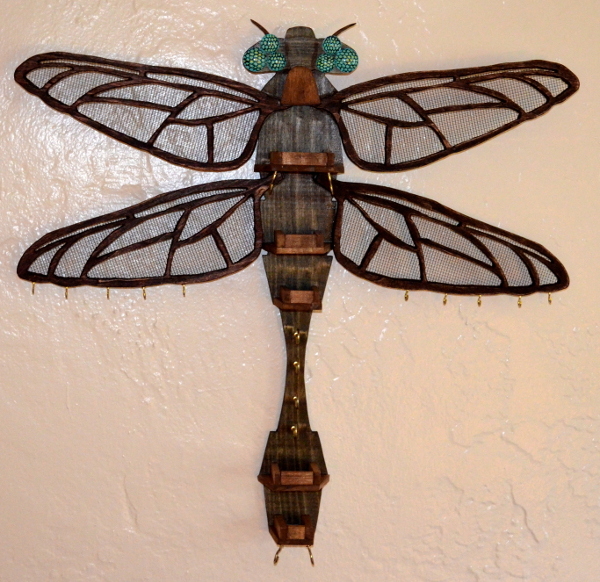 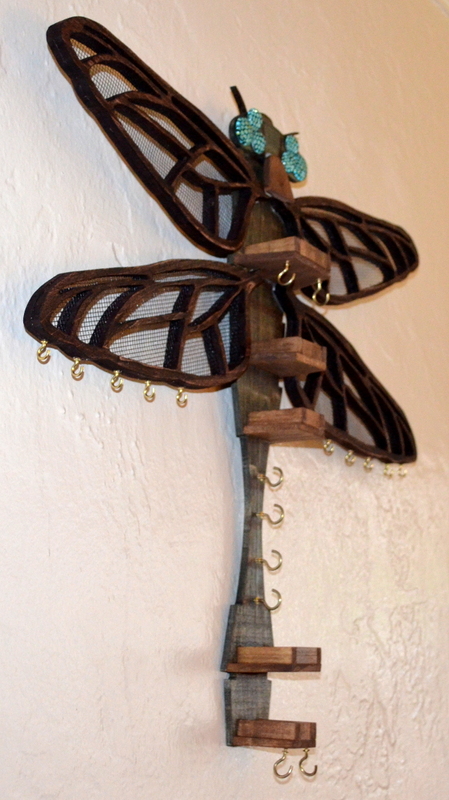 This is my design for a dragonfly hanging armoire. 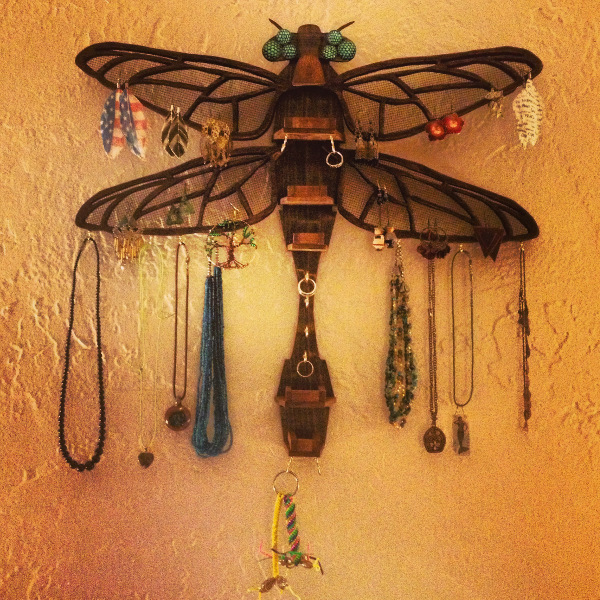 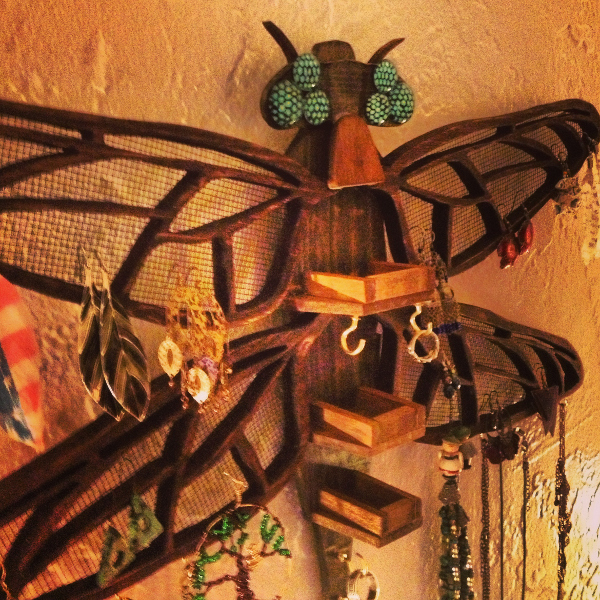 It is all hand-cut from poplar wood, hand-painted glass eyes, mesh wings for hanging earrings, 8 hooks for rings, 10 hooks for necklaces, and 5 troughs for studs and rings. 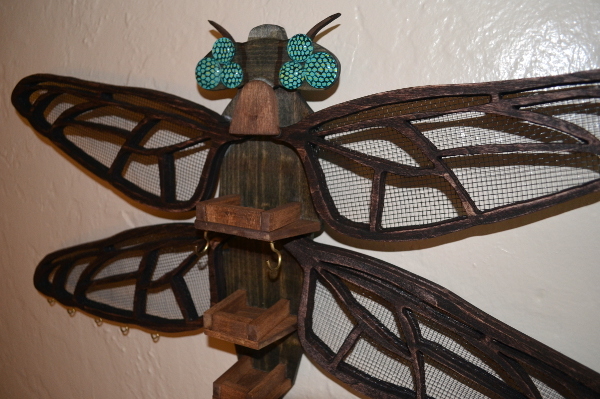 I also designed an owl jewelry holder, which is also available for purchase.